當我還在寫第一代引擎的遊戲時,ID 的QUAKE誕生於1996年,在當時其畫面令人震驚,使當時的我下定決心寫第二代引擎(與第一代的遊戲平行開發),終於在1998年中完成在技術上相等規格於QUAKE的3D REAL-TIME軟體引擎(不需3d card)及OpenGL(miniGL) for Voodoo 3d card,當時QUAKE 還未Open Source ,且在當時的open source 領域的引擎也勉強找到一個叫"cristal space" 的engine可相題並論而已!!!. (支援DDraw & OpenGL & D3D6,7,Win95,98),CPU要求為486DX,Pentium 100 以上,開發的遊戲:東方傳記,斷劍傳說,九英雄物語. 支援 Virtual Mipmapping 的地形材質(Clipmap for Terrain Texture) 類似ID software 的Mega Texture技術 !!! 包括即時DCT (Discrete Cosine Transform) 解碼 & DXT 壓縮(獨立的thread負責,DCT decoder & DXT Compress on the fly)!!! Spherical Harmonics LightMap in Local XZ Frame!!! 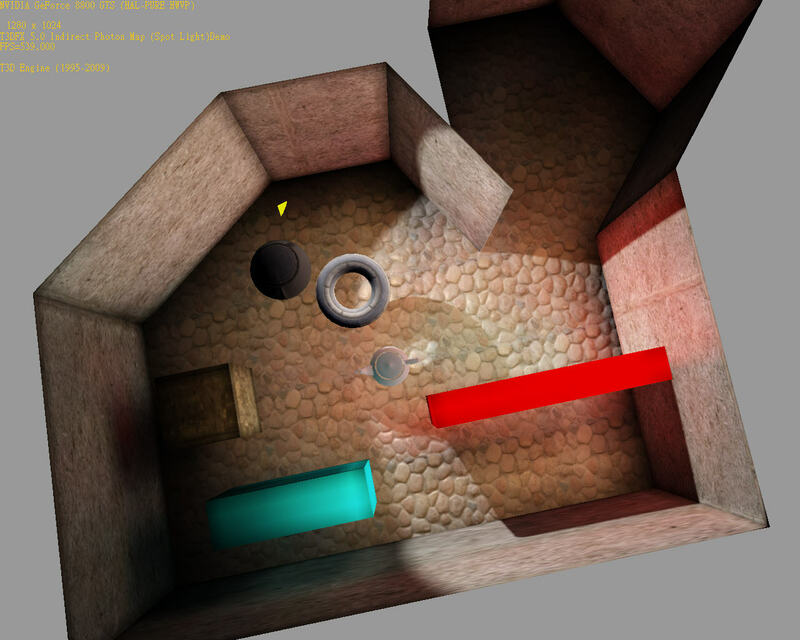 Parallel Split Shadow Map + Variance Shadow Map!!! Real-time Global Illumination (Radiosity) (Direct & Indirect Lighting)!!! 使用 Indirect Photon Map 技術!!! VPLs visibility test on the GPU !!! clipmap+skylight+bloom+ambient aperture lighting from Tin-Yen Nieh on Vimeo. SH Lightmap + Cook-Torrance BRDF Demo from Tin-Yen Nieh on Vimeo. Real-Time Radiosity , Indirect PhotonMap Demo from Tin-Yen Nieh on Vimeo. Real-Time Radiosity for Dynamic Objects from Tin-Yen Nieh on Vimeo. Real-Time radiosity using Indirect PhotonMap (SpotLight Demo) from Tin-Yen Nieh on Vimeo.